Because I'm a money nerd and a comics nerd, one of my favorite things is when these two obsessions come together in the form of (drom roll, please): financial graphic novels! You might think that's a niche I just invented, but you'd be wrong. I'll admit that financial graphic novels aren't common, but they are out there. I've written before about the comics adaptation of Studs Terkel's Working, for instance. But I also own comic book versions of Think and Grow Rich, The Long Tail, The Alchemist, and Robert Caldini's Influence. My dream project? Collaborating with an artist to create a visual version of my A Brief Guide to Financial Freedom. 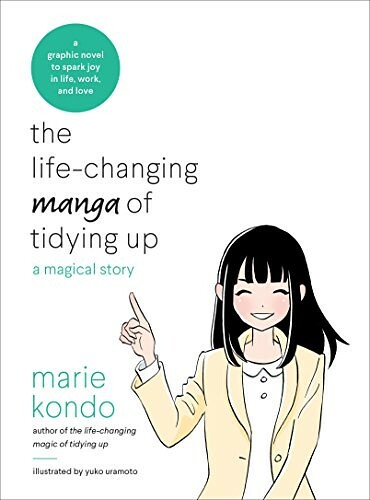 Imagine how happy I was last week when I stumbled upon The Life-Changing Manga of Tidying Up, the graphic-novel adaptation of Marie Kondo's hugely popular (and hugely awesome) book on cleaning and organization. I loved The Life-Changing Magic of Tidying Up when it first came out; I love the comics version even better. In case you've been living under a rock, Kondo's thesis is that you should only own things that “spark joy” in your life. Naturally, not everything can spark joy. (Does anyone really get pleasure from their toothbrush or their coat hangers?) But to the extent possible, you should strive to only possess things that give you pleasure. Let's take a quick look at the KonMari method — and why it's proved to be popular with so many people (including me). An avid fan of home and lifestyle magazines since kindergarten, I would read a feature on how to put things away and have to try out each suggestion immediately. I made drawers out of tissue boxes and broke my piggybank to purchase nifty storage items. In junior high on my way home from school, I would drop in at a DIY store or browse at a magazine stand to check out the latest products. As I say, she's obsessed. In fact, some of her anecdotes are almost alarming. 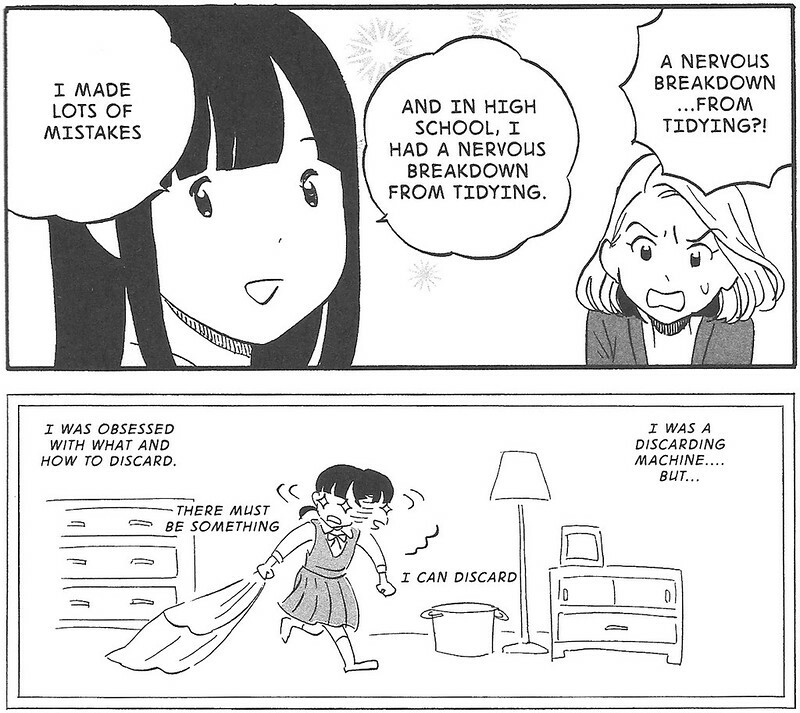 Just as I believe money management is a psychological issue rather than a logical one, so Kondo feels about cleaning. “Success in tidying depends 90 percent on your mindset,” she writes. It's not enough for a space to be tidy. “Putting things away creates the illusion that the clutter problem has been solved,” she writes. But storage is not the answer. The problem persists so long as you have too much Stuff. Kondo claims the real key is to discard as much as possible. Tidy in one large push rather than a little at a time. Gradual tidying doesn't solve anything. When you clean in one fell swoop, it's like hitting the reset switch on life. Start by discarding, all at once, intensely and completely. “Do not even think of putting your things away until you have finished the process of discarding,” Kondo admonishes. If you start putting things away before you've finished purging, you run the risk of getting distracted. Plus, it's only after you've pared down your possessions that you can decide how to best store them in your space. Keep only those things that “spark joy”. This is the key to Kondo's philosophy. She says that we ought only own things that make us happy. Most advice on de-cluttering focuses on whether items are used or useful. But Kondo argues that this sort of thinking leads us to choose what to get rid of rather than what to keep, and that's backward. She wants readers to handle every item and ask, “Does this spark joy?” She writes: “Keep only those things that speak to your heart. Then take the plunge and discard all the rest.” Sounds lame, right? In reality, the advice is surprisingly effective. Don't let your family participate. Tidy on your own. Don't consult with your partner, your parents, or your children. Doing so will only cloud things. Work on your own. Once you've finished discarding things — and by this, she means selling them, donating them, giving them away, or putting them in the trash — only then is it okay to store them. Even then, Kondo aims for joy. She wants readers to “store your things to make your life shine”. Follow the old adage, “A place for everything, and everything in its place.” That may mean changing some of your habits. 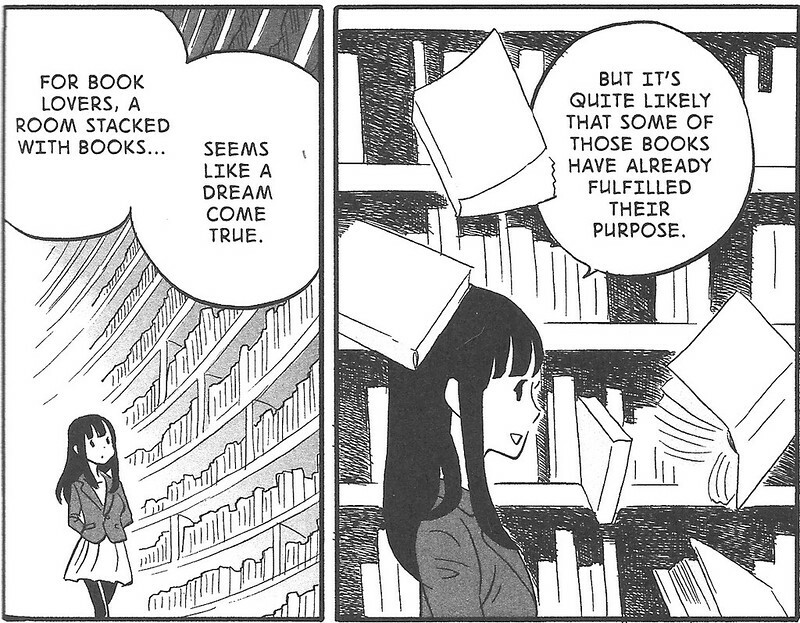 In particular, Kondo recommends storing things standing upright rather than flat whenever possible. Eliminate visual clutter. I've always admired the Japanese aesthetic, and a large part of that is how clean everything is. No surprise then that Kondo applies this ideal to de-cluttering. Her advice: “By eliminating excess visual information that doesn't inspire joy, you can make your space much more peaceful and comfortable.” Only display belongings you appreciate. Don't clutter your shelves and floorspace with knick knacks and notes and piles and so on. Keep things neat and clean. Perhaps that all seems overwhelming. It's not — or it shouldn't be. It all boils down to this: Start by discarding. Keep only those things that “spark joy”. Work first with clothes, then books, papers, miscellaneous, and lastly, mementos. After purging, organize your space for maximum efficiency (and minimal visual clutter). Do this all at once rather than incrementally. You've finished the process when everything is in its place. So, how effective is the KonMari method? From my experience, it's awesome. Seriously. When I stick to it, my life is less cluttered and my mind is freer. In January 2015, I spent an entire weekend applying the Konmari method to my belongings. The results were amazing! After three days of solid work, my Stuff was organized in a neat, efficient manner. I'd managed to get rid of (almost) anything that didn't spark joy. The best part was that I've managed to maintain most of this orderliness. Last weekend, after reading the graphic novel version of the Konmari method, I decided to make another pass at my Stuff. I spent my Saturday applying Kondo's ideas to my clothes closet and my dresser drawers. It took me three hours, but after I was finished I'd eliminated a couple boxes of clothes and drastically reduced the space I needed to store the stuff I kept. 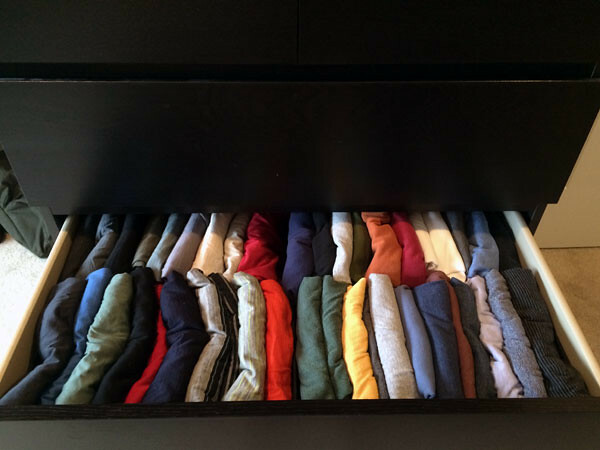 I used to store my t-shirts in two messy, mounded drawers (one for cotton, one for wool). Now all of my t-shirts fit into a single drawer — and it's easy to tell what's what. Similarly, my sock and underwear drawers used to be disasters. Now it's quick and easy to find what I want. It does take a bit more time to fold things properly, but I'm okay with that. Actually, I think it's kind of fun to fold my clothes into tiny, tidy packages. After sorting my clothes on Saturday, I spent four hours discarding and organizing books on Sunday. Then I moved on to records and DVDs and compact discs. When I'd finished, I'd packed my Mini Cooper with stuff to sell and donate. This coming weekend, I'm going to apply the Konmari method to my writing studio. It may sound nerdy, but I'm looking forward to it! Long-time readers know that I've been on a decade-long quest to combat clutter. Back when I was a spendthrift, I bought a lot of Stuff. When Kris and I were together, our house and garage and workshop were packed to the gills with Stuff. Even while we were married, I started the process of purging. Now, after having traveled extensively with nothing more than a backpack — and after having spent fifteen months exploring the U.S. by RV — I'm even more motivated to get rid of the things I no longer want or need. It seems like Kim and I are constantly purging. The KonMari method is an excellent tool (or system, if you prefer) to help combat clutter. I'm a fan. I liked it when I first tried it in January 2015. I like it even more now. The Life-Changing Magic of Tidying Up isn't for everyone. If you're naturally clean and tidy, there's nothing new here. If Kondo's “keep things that spark joy” message causes you to roll your eyes, you won't have patience for this book. 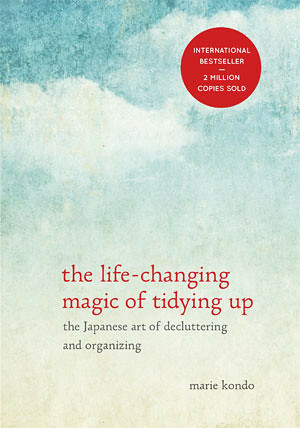 But I think that most folks could profit from putting the Japanese art of decluttering and organizing into practice. There are 47 reader responses to "My experience with the KonMari method (and the life-changing magic of tidying up)". One of the easiest ways to do the KonMari method by default is to simply live in a small space. For single people, a small condo or apartment in the 400-700 sq ft range is ideal. This is very doable; remember that Thoreau’s cabin at Walden Pond was only 150 sq ft. He does not allow anything in the house that costs more than $20.00 (with the exception of his refrigerator). All doors remain unlocked at all times. He recycles all of the water used in the house, had his gas shut off, rides his bike everywhere, and salvages all his food from local dumpsters. Is he the AFB banner dude?! I’ve wondered about him. He’s outside the Eubank gate every Friday. Yeah, he’s the banner dude. His late wife hand-painted (lettered) those banners for him years ago. When I was going to college back in the early 90’s, he was in one of my classes, taking notes for a disabled woman who couldn’t take the notes for herself. He seems like a nice guy. I don’t agree with his political views, but I do enjoy learning from masters of simple living. As an interesting side note, Don Schrader rents a room in Chuck’s (banner dude’s) house. Yeah, that’s similar to my thoughts. I think his anti-weapon stance is misguided, but I admire his quiet protest and willingness to stand out in the wind and weather. Before I read the article I thought you meant the bird dude, but I believe he passed away a couple years ago. I’m not aware of the “bird dude.” Makes me think of Birdman of Alcatraz, that great movie with Burt Lancaster. I ran into him a couple times at flying star on central, or maybe it’s more accurate to say I ran into his bike. He had a PVC contraption built so he could ride around with his parrots. I have no idea what he did in the winter. They uses to have a picture up of his at La Solita before they moved, dunno if they put it up in the new location. But I guess he was one of those ABQ characters that lots of people knew/knew of. Ah yes, Flying Star, the old Double Rainbow … I get all misty-eyed about the Nob Hill of yesteryear, buying comic books at Wavy Brain, then reading them over at the Double R. Anyway, I’m jealous you know about bird dude and I don’t lol, sounds like an interesting character. I’m one of those people who hates having too many things and loves to declutter and organize, so this method is nothing new for me. However, my main problem is–clothes! A capsule wardrobe might as well be a prison sentence to me. I keep everything else pared down, but I have a hard time with my clothes because I love every single item in my closet and I wear everything. I review my closet constantly but can’t stand to take anything out because I love the way I look in everything and I would miss it if I got rid of it; I know because I put a large part of my wardrobe into garbage bags and put them out of sight, with the idea that I’d take out the items I missed and donate the rest after a month–I ended up missing all but one pair of jeans. As it will help you organize the clothes you love. My drawers look like J.D.’s and I can get a ton of stuff in less space and more importantly I can see everything at the same time. For me the “must bring joy” approach needs a dash of reality. Sometimes the joy is indirect – I’d rather keep around some old clothes that don’t bring me joy because I need things to wear when painting or working on my car. My logic is that having something I can toss without feeling bad when I inevitably ruin it gives me joy. ? Confession…. 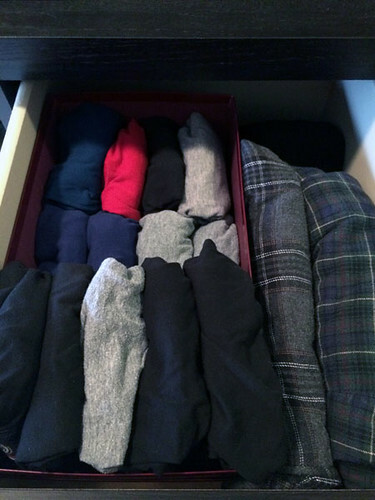 my T-shirts and socks are organized by colour too… wee bit of OCD. I forgot to note in this article that this time around, I didn’t strictly adhere to the “spark joy” guideline. 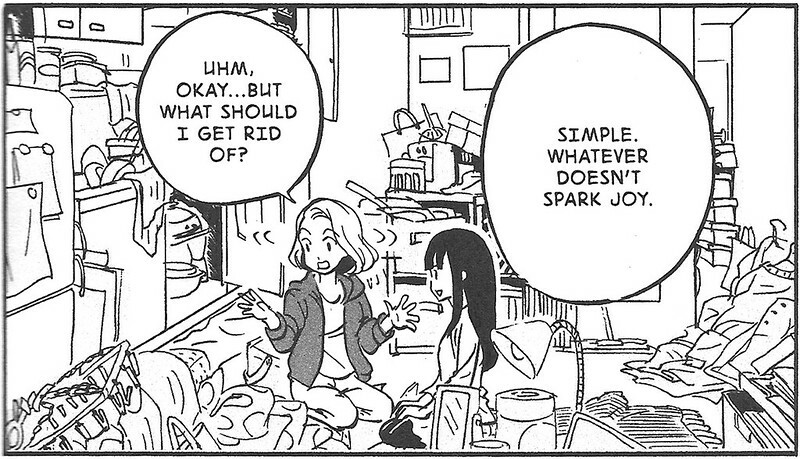 Kondo wants you to only save the things you love, not purge the things you don’t like or don’t use. I sort of did a mix, but I did so deliberately. This is again because of where I see my wardrobe going eventually. But it’s also because it’s hard for me to make myself pare down to just 20 t-shirts, for instance, instead of 48 haha. Girlfriend, you are singing my song. The term “capsule wardrobe” is a sharp stick in the eye for me. I do pass on things that no longer feel good or shrank a bit in the wash, but I’m always replacing them. I love color and print and looking at beautiful fabric “sparks joy” for me. I read the book a few years back but the graphic novel looks cool! I need to revisit the book again. It seems that old habits start drifting back into my life no matter what I do. I KMed my studio apartment a few years ago, and it was an excellent exercise. 2 moves, a house purchase, and gen. anxiety disorder diagnosis and a pending house sale later, I am about to move back into a studio again. And I had this weekend set aside to KM my condo as I get it ready for listing, so this is a super timely article for me, JD. I am excited to check out the graphic novel! We’d like followup pictures in three months! And for what it’s worth I have a coat hanger that sparks joy. One. I almost got rid of it because it’s old and doesn’t match the rest, but it sparks joy damnit so it’s here forever! Ha. I am skeptical about this mythical coat hanger of joy. When I last wrote about this, our pal Tyler K (who isn’t around GRS much these days) really really really hated the KonMari method because of things like toothbrushes and coat hangers. He hated the admonition to only keep things that “spark joy” because, he argued, much of what we own and use is purely functional, not joy-filled. He’s right, of course, but I think it misses the point. We’ll always own the functional because we have to. Functional stuff doesn’t usually cause clutter. I disagree that functional doesn’t cause clutter, but I think it needs a different set of rules. For example Alton Brown has some interesting thoughts on kitchen “uni-tools” i.e. kitchen tools that are only used for a single function. For example, I struggle with: Do I need 2 crock-pots AND a pressure cooker? None of them bring me joy, but they do make dinner on a regular basis and they each serve a slightly different function that would be a hole if I got rid of one. So I keep them, but they are hard to store efficiently. Also, you’re right that functional stuff can cause clutter. My “shaving drawer” ought not be an entire drawer. Do I really need five different fragrances of after shave? No, I don’t. Do I really need three different razors? No, I don’t. Why not just own a multi-function device like an Instant Pot? I am not crazy about the slow cooker function of the multi-cookers. Plus I have 2 crock pots because they are significantly different in size. A multi-cooker doesn’t fix that. I own one because we’re moving into an RV next year, but I’m terrified to use it! I guess the pressure cooking part is scaring me because of the kitchen accidents my mother had using one. I love my crock pots but will have to choose just one. I’ve learned I can do small meals in my large one, so the small one will go. I love manga. It’s awesome that anything can be turned into manga form. I even read a manga about how 7/11 got started in Japan. It was a neat story. I’m willing to read this KonMari book in this format. Mrs. RB40 read this and it didn’t seem to work in our household. Nice job with your wardrobe. I have wanted to try something like this, but it just isn’t really feasible right now with life and kids and the time and energy the project would require, so we have been going at it more traditionally. We try not to simply declutter, but the method is more: get rid of what we can without thinking too hard about it. Plus there is plenty of junk that brings my kids joy. I remember what it was like as a kid when my mom or grandma would “clean” and get rid of my treasures, so I don’t really want to do that to my kids. I figure I can get rid of stuff when it’s broken or they outgrow it. S.G., I have wondered how Marie Kondo is doing now that she has two children. :) I’m waiting for the sequel to the original book. It’s very difficult to keep on top of the tsunami of toys, coloring books, etc., and you’re right–some of that stuff has to be kept out and around to inspire play and creativity. I am more lax with her toys until she has REALLY outgrown them, but I am ruthless with clothes and the second she has outgrown stuff or worn it out, it is donated or sold to resale shop. I am pretty ruthless with my own clothes and house items as well (I love the Goodwill, etc., drop off boxes for convenience) but struggle with letting go of books and, in my case, LPs (which I still play and purchase). I also like keeping some magazines, although I’ve realized I can’t keep them all. Where do you take your purged items to sell? Media can be taken to used book stores with varying results, but what about everything else? Honestly, I just donate most of my stuff. If I were still in “get out of debt” mode, I’d do what I could to make money on it. Where I live, there are lots of consignment shops for clothing. I went into one yesterday, actually, because I was looking for a sweater. 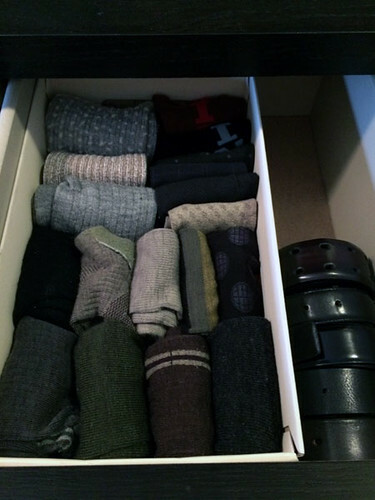 (A need I noticed after I used the KonMari method last weekend!) We’ve been trying to sell other items on Craigslist with mixed results. I used the manga as a guide to weed and organize my closet earlier this year. I’m still quite happy with the results. Speaking of comic finance books….James Stowers, founder of the American Century mutual fund family, had a series of books that I believe were called “Yes I Can”. Not sure if they are still around, but might be worth a look. I have one of them! 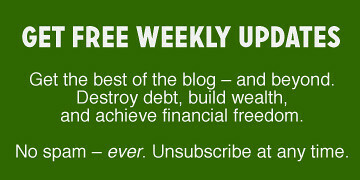 “Yes, you can…achieve financial independence.” It’s a good book. I think the problem in focus here is attachment. The less things we have might show we are not attached to them, however, one should be careful not to take things to the other side. One can also be attached to living in extremely clean and de cluttered environments. Sometimes clutter can be creative because it shows how being de cluttered is such a breath of fresh air. So, there are no absolutes, if one is truly un attached you should be able to hang with everything. Just my 2 cents, that’s all. I’m wondering if a better question could be “does it help me reach my goal?” Not “does it spark joy?” We just might be addicted to pleasure, entertainment, and frivolity. That’s nothing new. It’s known as The Endowment Effect. Oops, that was meant as a reply to Marcos Taquechel. What can you possibly accomplish without involving your family? Maybe 10% of the stuff in my house is mine exclusively. If I purge even 50%, that is a measly 5% overall. Half or more is stuff that belongs to the whole family. Am I supposed to send them on vacation and purge while they’re not around to stop me? I *think* the suggestion to purge while your family is not around is mostly to protect against keeping items out of guilt that you would otherwise choose to discard if you could make the decision without an audience. I know that I have a very hard time letting go of things that were given to me. Ironically, I tend to have a much harder time letting go of gifts that I don’t like, because I feel like I didn’t show the giver adequate appreciation by loving and using the heck out of the gift. To apply the concept in a family setting, my guess is that each family member purges the things that belong to them and only them while in private, and then as a family you address the shared items. But for instance, if the kids really don’t have a say in whether you keep the couch or not (just an example), the parents shouldn’t include them in the discussion of whether to keep that couch. By including them in the discussion, you’re implying their opinion matters as much as the other decision makers’; and that leaves the door open to hurt feelings if you ultimately decide to purge an item the kids would have chosen to keep. To be fair, 5% is better than nothing, you have to start somewhere. it doesn’t do any good to just throw your hands up and give up. I think one cannot really appreciate the wisdom of the KonMari method without some knowledge of Japan and Japanese culture. This is where my heart is – decluttering and discarding without mercy or remorse. Then, we had kids. In the beginning we could donate many of their old toys without issue. But now that they’re five, they’ve grown sentimental and put up a fuss about giving anything away. We keep trying to convey the importance of sharing and giving. At least we live in a small house. So as aspiring minimalists, ain’t no room to keep TOO much crap. Enjoyed this piece and all the commentary! I’ve made several large purges over the years and having a yard sale was both freeing and financially beneficial. I find myself today enjoying second hand and mostly free stuff the most of all because if I lost it all tomorrow I would enjoy acquiring new free stuff. While this is likely not the point of the book, I have found that moving gives a great opportunity for a do-over in numerous ways. And I love living in a small house. I cannot overstate the joy that brings. Tidy, cozy, a few collections that bring joy, and always an opportunity to hand off something to someone who would enjoy it. 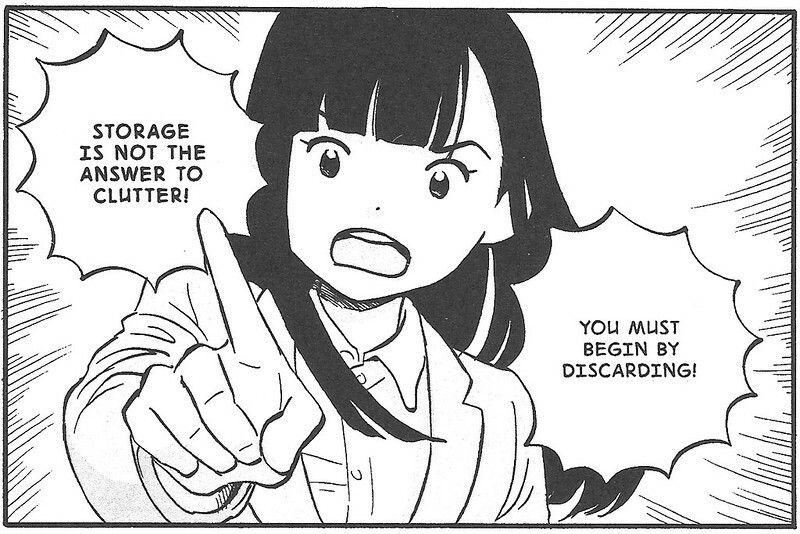 Just read Manga of tidying this weekend after you posted, it’s pretty great :) Definitely makes you understand the logistics of her method better!! Neat post! I recently moved from Gunma (rural Japan 100 km north of Tokyo) to Tokyo itself, and I’ve had a chance to obsess over having just what I need (computer setup, TV and streaming devices, etc) and nothing I don’t need. It’s been fun and theraputic.